I have seen too many people forget the basics and rely on finding the laser dot instead of looking down the sights on pistols. They became much slower with the laser. So began a Facebook thread in a closed group of ‘operators.’ There’s an antinomy, a form of paradox, in this sort of discussions that I always find interesting. The paradox arises from the often parroted statement that most armed encounters take place at night or in low light. This premise is less than provable, but let’s accept it at face value for purposes of discussion. Now, let’s follow up that premise with dismissal of a sighting system because ‘it doesn’t work’ during periods when gunfights are LESS LIKELY to take place. In this particular FB thread, I will put myself in the category of ‘highly trained,’ since that’s what their membership group supposedly consists of. Years ago, it didn’t take me long to figure out that there were things I could do with a laser on a pistol that I simply couldn’t do without them. That held true even during the day, unless I was on a brightly sunlit ‘square range,’ which is so often said to be a poor and ‘non-realistic’ training environment. In any indoor environment, there is no issue with ‘finding the laser dot,’ even in a well lit room in daylight. Once we get into the realm of low light, where the popular mantra says the majority of gunfights occur, most of us will agree that iron sights are fairly useless. We’re largely reduced to point shooting because the sights can’t be seen. Some outdoor activities may be conducted without artificial illumination during these intervals, and it is useful to have some means to set limits beyond which a certain activity should be assisted by artificial lighting. Target Acquisition and, to a lesser extent, Target Identification, is still possible during that period. However, between sundown and dusk, night sights aren’t really visible (not bright enough) and neither are the irons (luminous efficacy of the eye’s cones is insufficient). To establish a quantitative measure for that difference, I chose several parts of the Handgun Testing Program at the elite Rogers Shooting School. 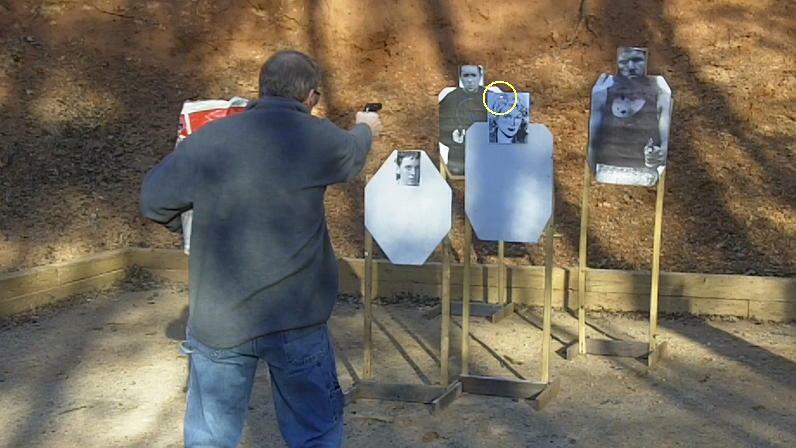 The targets were more visible than they show in the video but I couldn’t see the irons. I proceeded to shoot the tests with a laser equipped Beretta. Having taught at Rogers for five years, I’m fairly confident in saying that, without the laser, I would have made the all the body hits (7) and around half of the hits on the number 1 head plate (8) for a score of 15 out of 69 targets. My score with the laser was four missed targets for a score of 65 out of 69. There’s a reason I have a laser on my house gun. 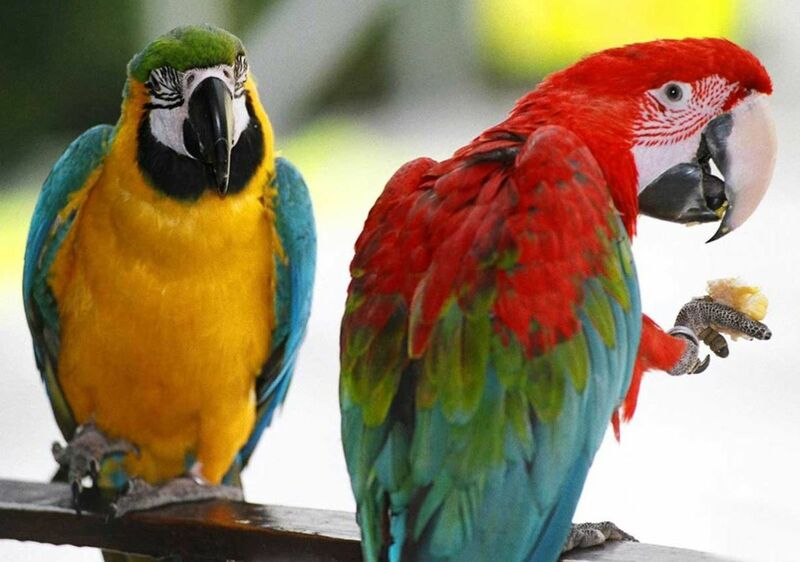 The issue of parroting something that was heard without questioning, analyzing, or testing is a separate topic that the training community has yet to address adequately. That’s for another time, though. I don’t want to burst any bubbles among the broad public but I have a different take on a very unfortunate incident than the family and the news reporter do. A little background is in order. The NYPD Stakeout Unit, unofficially called the Stakeout Squad, was formed in 1968 and existed until 1973. Its formation was due to the large number of retail robberies occurring in New York City at the time, many of which resulted in the brutalization or murder of shopkeepers. The Squad was disbanded in 1973, allegedly for ‘efficiency’ reasons but the members generally conceded that it was because the Squad shot so many robbers, whom they caught red-handed and who decided to shoot it out rather than surrender. Jimmy Cirillo was one of the founding members and a good friend of mine. Jimmy died in a motor vehicle accident in 2007. His wit and wisdom will always be remembered by those of us who knew him. It began Saturday night when Jessica and Cobie’s father, 30-year old Antoine Davis, went out for the evening. At some point, Ionniello said, Davis, a former Marine who served in Iraq, became belligerently drunk and abusive. It had happened many times, Ionniello said, but her daughter did not seem able to turn Davis away no matter how often he abused her. Davis chased Arrendale up the stairs of her three-story townhome in the Oakdale Bluffs subdivision sometime around midnight, she said…. Arrendale locked herself in a bathroom. Davis got his gun, an assault rifle outfitted with a suppressor. He burst into the bathroom and, while Arrendale was still holding Cobie in her arms, shot the young mother in the head, Ionniello said…..
“He shot her and they (police) don’t know how she was able to twist her body and fall literally in the opposite direction,” Ionniello said. Instead of falling onto the floor, Ionniello said her daughter fell over the toilet, dropping little Cobie into the water-filled bowl…. No one ‘makes decisions’ when they’ve been shot in the head, probably brain, with a 5.56mm bullet at point blank range. That’s an instant shutoff. In a macabre way, I would like to see the coroner’s report as to the extent of the damage to her brain. However, this immediately brought to mind something Jimmy Cirillo told me about his experiences in the Stakeout Squad shootings. He observed that every time a perpetrator was instantly killed by Stakeout Squad gunfire, they fell where they stood and their legs were crossed as they fell. Usually, they were facing the opposite direction from the way they had been standing. Jimmy’s hypothesis was that one side of the brain shut off before the other causing one side of the body to collapse before the other, resulting in the turning of the body and the crossing of the legs. He didn’t indicate he had any medical basis for his opinion. Therefore, I regard it as a hypothesis based on his observations of the numerous men he and the other members of the Stakeout Squad had killed. My opinion is that the same thing happened to this poor young woman; her brain shut off sequentially, which caused her body to twist as it fell. It was random chance that protected her infant son from the crazed father. While I would like to accord her ‘hero’ status, I don’t see it that way. No offense to her is intended, I am sure she would have protected her child any way she could, had she been capable. The lesson is this: be cautious about approaching predators after they’ve been shot; they might not be completely disabled. With handguns, the mechanism causing the opponent to stop is largely exsanguination, meaning blood loss. When someone falls after being shot and bleeding profusely, they may regain consciousness when the brain comes level with the heart. Central Nervous System (CNS) stops, such as this unfortunate young lady experienced, are the only really sure anchors. For those interested in reading more about the Stakeout Squad, I recommend Paul Kirchner’s excellent book, Jim Cirillo’s Tales of the Stakeout Squad.